Jean cardigan is a pretty piece of knitwear at hearts & roses London with flamingo embroidered. She has long sleeves, a ‘crew neckline with a cut-out and tie. 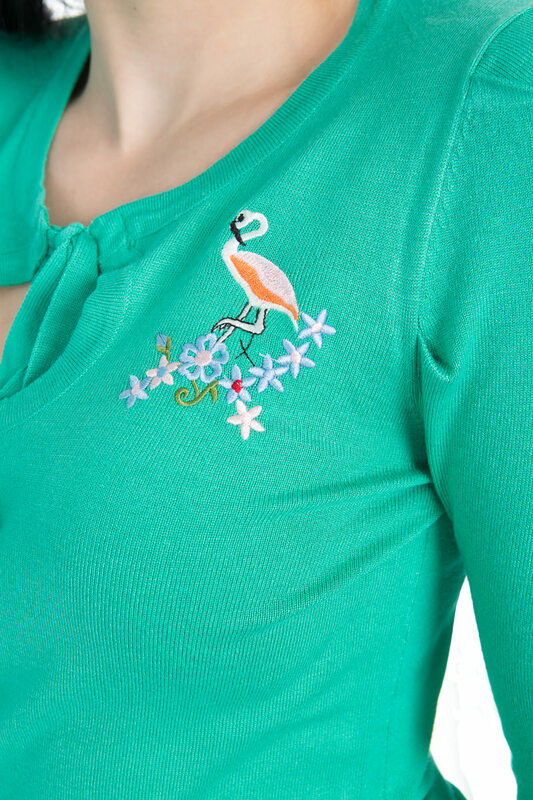 Embroidery flamingo with tiny floral makes it so adorns and helps to match up with any dress. Fastens with 5 classic buttons along the front.